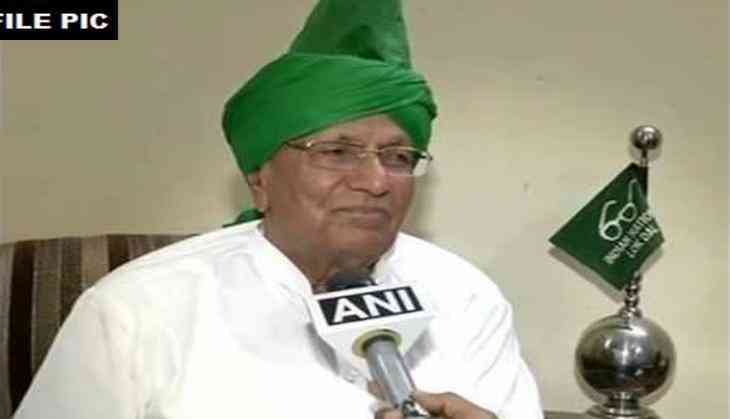 The Delhi High Court on 11 December issued a notice to the state government to file a response on a parole petition moved by former Haryana chief minister Om Prakash Chautala, who is serving a ten-year jail term in a teachers' recruitment scam case. Chautala wanted a two-month parole to look after his ailing wife. The court had listed the matter for further hearing on December 14. Earlier on March, the Delhi High Court had cancelled the parole which was granted to Chautala after he violated the terms and conditions of the parole. The police raised objections that he was holding public meetings in violation of his parole conditions. The High Court also observed that Chautala was misusing his parole by attending public meetings across Haryana. The Delhi High Court had earlier granted three weeks parole to Chautala, on health grounds. The court had also granted parole to Chautala to attend his grandson's engagement function. Chautala, his son Ajay Singh Chautala and three others, are serving jail term in the case. On 22 January 2013, a trial court had sentenced 55 accused in the case. Among those convicted were 82-year-old Chautala`s then political adviser Sher Singh Badshami, the then Officer on Special Duty (OSD) Vidya Dhar, IAS, and then Primary Education Director Sanjiv Kumar, besides 50 others. A total of 55 persons were convicted under the JBT scam for illegally recruiting 3,206 teacher in Haryana in 2000. The father-son duo, including two IAS officers, were among 55 persons convicted on 16 January 2013 by the trial court.